Um, did that ending just happen? Can I sue for emotional distress, because this book just sort of ruined me? Well, before the heartbreak, this book starts off where Shadowfell left off; Neryn is at Shadowfell, but needs to leave to start seeking out the other three Guardians before the impending war. She has already encountered the Master of Shadows (located in the south) in Shadowfell, but she still has the Hag of the Isles (located in the west), the Lord of the North (located north and unable to be awoken from his slumber), and the White Lady (located in the east), who seems the most elusive of the four. Neryn not only needs to find these three Guardians, but they each have to teach her something that will help her in the final battle against the King and his Enforcers. Oh, and now they are on a deadline, so Neryn has to seek these three individuals out, in completely different and unknown locations, and receive their knowledge in a year and a half. Needless to say, this book was filled with the same excitement and adventure that Shadowfell has. 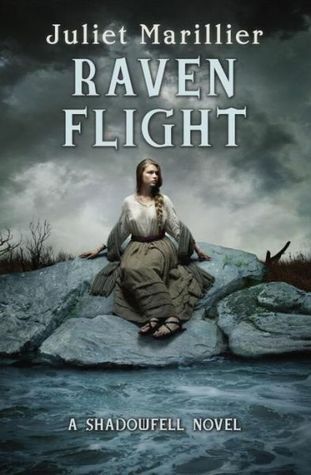 You will not feel second book syndrome with Raven Flight. Juliet Marillier is such an amazing storyteller, I was enchanted from page one and was unable to put this book down. There is so much death foreshadowing, and actual death, in this book. I swear to God, if Neryn and Flint don’t get their happily ever after after everything they have been through, especially Neryn and all her losses, I’m going to riot. And Flint… Flint is my beautiful cinnamon roll that is too good for this world. The other character I fell in love with while reading this book was Tali. We really get to see her character in this installment, and what a strong character she is. The friendship between her and Neryn warms my heart and Juliet Marillier does a wonderful job depicting that friendship grow and blossom, and grow believably and oh so beautifully. And just in general, since Tali normally always takes some sort of leadership role in this book, I love how strong Juliet Marillier makes her female characters. The only thing I love more is how none of the main male characters have a problem with the women’s’ strength or leadership, but embrace it and never make it a competition. Hell, they even ask for advice and they never feel like it makes them less of a man. Like, it’s never addressed. The equality is just expected. I can’t even begin to tell you how rare and refreshing that is to read about. I finished this in one day and I am so thankful that I have The Caller waiting for me. 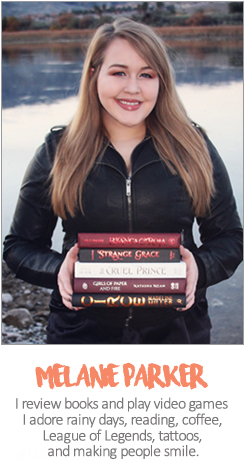 Honestly, I think I should just go buy all of Juliet Marillier back list, because I’m way too addicted to her writing. Like, this story is phenomenal, but the way she writes these characters and builds this world truly puts her in a league all by herself. I’m actually in awe and struggling to come up with cohesive sentences, because I’m so impressed with her and this book.